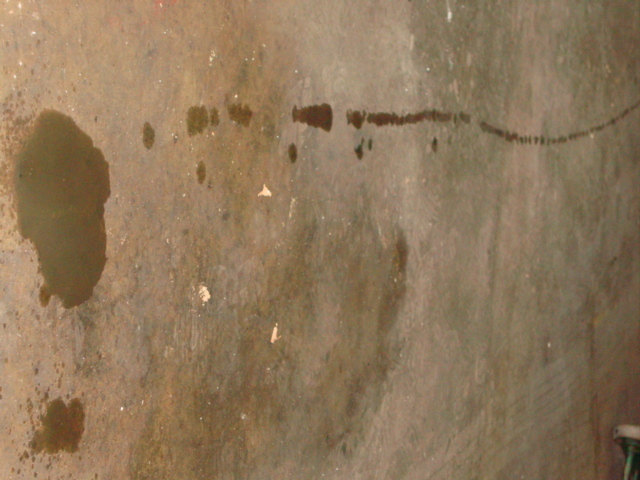 If your trans starts acting up and your seeing puddles like below then your pump bushing might have spun out. When you get under the car you see the fluid is coming from this area between the trans and the engine. This is the usual color of the transmission fluid if the customer doesn’t change the fluid. You can see the fluid drips coming out. 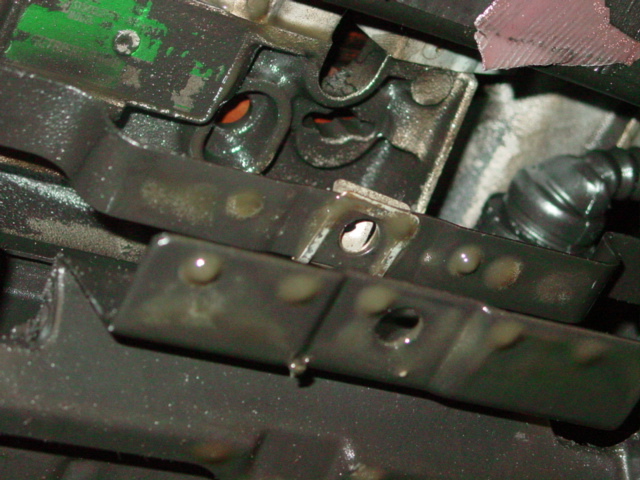 And when you pull the trans out and remove the converter to see where the leak is you see this. You glance over at the converter and find the missing seal and bushing. 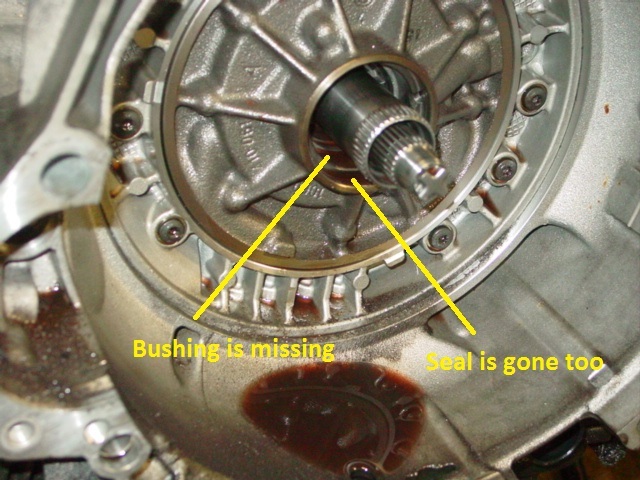 The bushing is siezed to the converter hub. 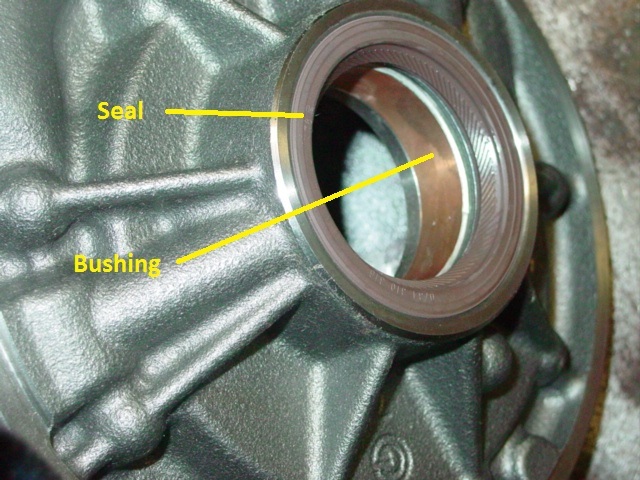 The bushing spinning out makes fine metal particles and the pump pushes that contaminated fluid throughout the transmission. Everywhere fluid pressure goes, VB, drums, converter, and planets gets a nice metal flake coating. 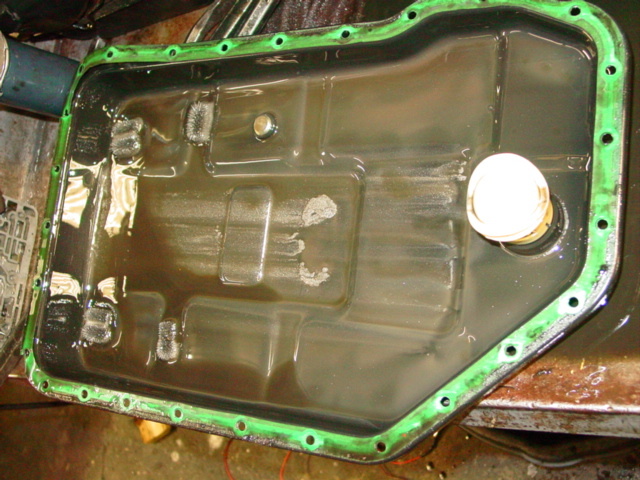 If you want that trans to live after the pump is replaced the whole thing has to come apart for a thorough cleaning. This is the same labor as a rebuild. Chances are good there may be other damage also. Most shops are going to recommend rebuilding when this happens. Here’s what the new pump looks like. And a shot of the new pump with the bushing and seal in place. 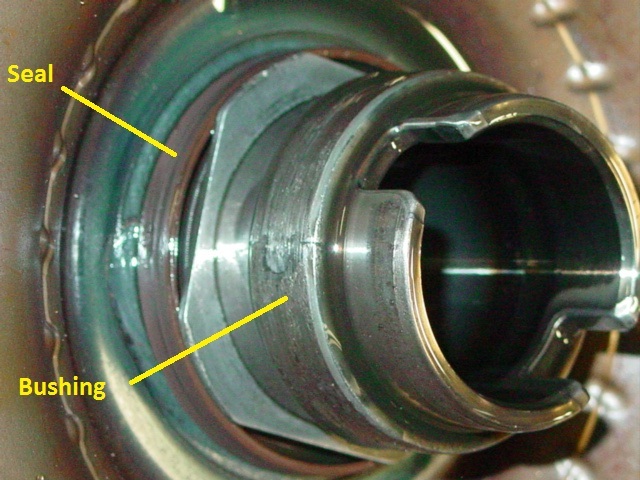 Understand that when the bushing spins out of the original pump as the bushing spins in the pump it “reams” the bore oversized so aftermarket suppliers sell a oversized bushing to fix it, but you have to be albe to lathe the bore oversized and then machine the bushing to exact specification to fix it. 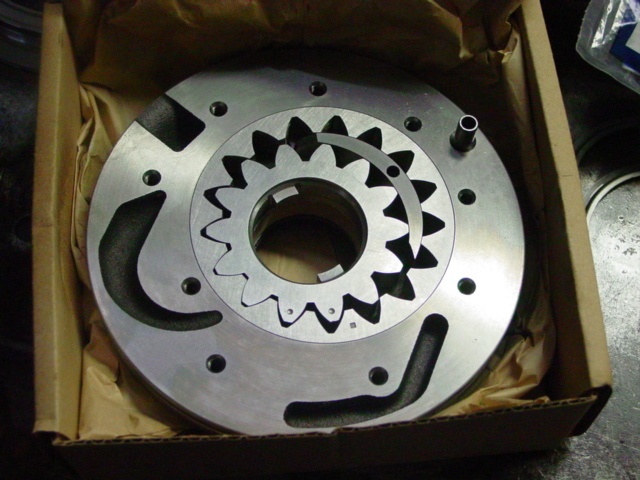 Most machinists that can do this work charge more than the pump so most of these just get a new pump.